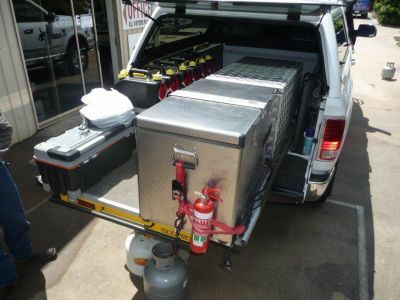 Most people end up with an extra fridge in the tow vehicle. On day trips away it is cold drinks and a lunch, and a stop and shop cold storage to get the goods home. The fridges in this Topic are among the most energy efficient I have seen. 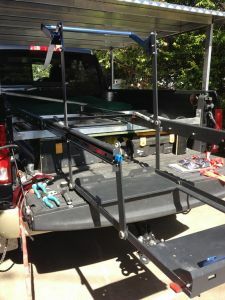 These following Posts are out of the Owners Section and have been modified here for reference, to benefit you "Owners to be" as some of you are outfitting your tow vehicles in advance. This is to help you benefit from my R&D, brought here into the Members Section because some of you might purchase before getting into the Owners Section to see the current R&D... OK? 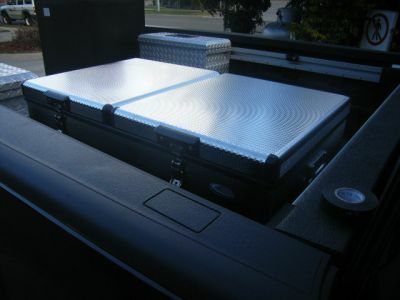 First here is the Trailblazer, they do not sell Wholesale, this is not for profit, this is the result of 15 years of research and owning two of them.... More of my R&D to benefit you. The best chest fridge would have to have a Danfoss Compressor, that is a given. But why the Trailblaza? 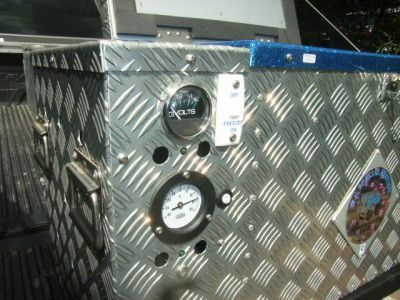 Waeco has the Danfoss Compressor.... Engel from what I am told also has the Danfoss Compressor... So why in all of my research, do I keep coming back to a Trailblazer???? And here is a picture of the Standard one..
Freezer Option Switch so the whole fridge will run like a freezer, Low voltage LED alarm, and a built in 240 volt powerpack for gen-set or mains power run times. 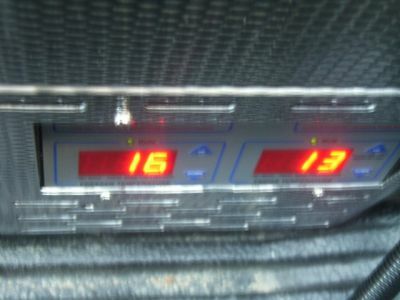 Volt meter at a glance, Temperature guage, Freezer dual thermostat switch, and 240 volt power pack as well. You can go all electronic and digital.... But you can guess I like the gauges..
Well there is a new Competitor in the field. Now don't get me wrong, I think the Trailblazer and the service from the Company Norcoast Refrigeration, is outstanding in all aspects. 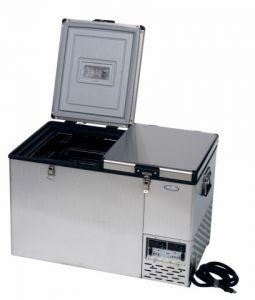 However, an Owner had one of these "National Luna" fridges in stainless, and they are VERY impressive at about the same money. 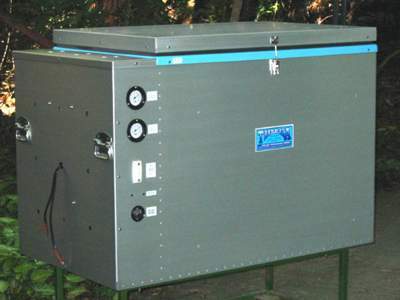 I have had discussions with Trailblazer, and they do a similar model now that I have not seen, but this "National Luna" is smaller with a build over the compressor design on one side, and the condensor is air cooled rather than skin cooled like the Trailblazer.. 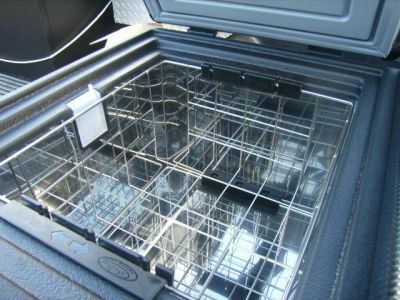 The problem is the Trailblazer unit is too big, I am sold on the two compartment idea, two doors, and I want it to sit infront of the wheel well in my Silverado bed, sideways along the Drivers Side for easy access... This is my choice in 74 Litres combined: This will be my current R&D testing one for you. 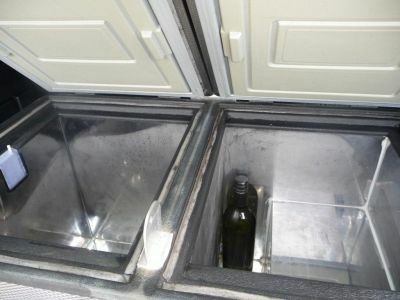 Polished Stainless interior, built over the compressor on one side, and a different technology in that it is forced air condensed evaporator, rather than skin of the fridge condensed like the Trailblazer.. 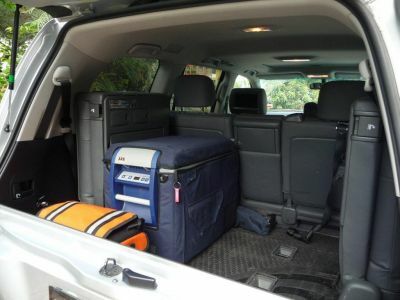 I chose this to give you real time R&D on it, simply because it fit my needs in size where the Trailblazer just would not fit being longer.. I will follow up with my observations on how it goes and performance, digital read out, forced air cooling, it seems to be a little higher technology but time will tell. 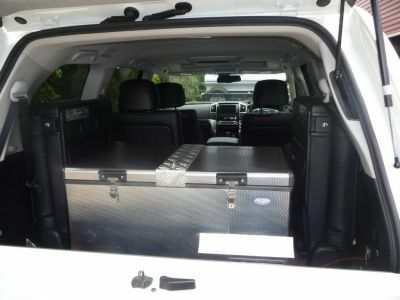 It fit my location, that forced my hand, they are bout the same money.... My last Trailblazer, the Bushtracker alloy body armour one, went with my faithful King Ranch F-350.. I will miss them both. But, onward and upward with my R&D on your behalf.. 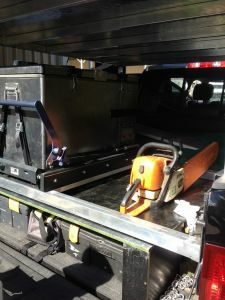 Here is mine, for R&D, delivered and running in the Silverado Dually parked in front of my office. It will be here for your inspection. This is impressive, refined in beautiful fit and finish. 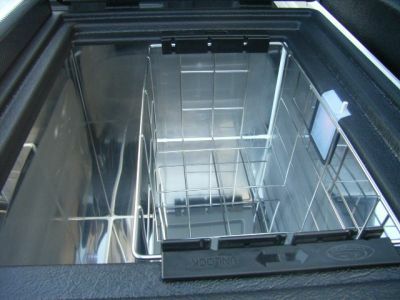 It comes with a 240v Powerpack built in, and separate Digital Readout and Digital "Set" so you can pre-set the temperature of each compartment to fridge and freezer, either or, or both the same..
And the compartments have stainless baskets and a light when you open the lid!! Very pretty, will have to see how it holds up. Out in the open, it appears this National Luna burns less power, because it is fan forced air condensing, rather than skin heat disappating condensing though the outer case like the Trailblazer. The Trailblazer suffers in the sun, because the outer skin gets hot and the compressor runs longer, or seems to. I will not have confirmation until summer, but early tests show lower power draw, which was reported to me by the other Bushtracker Owner. I unplugged it over the weekend, and left in unplugged overnight, and it did not lose the settings on temperature on the two lockers. Plugged back in and it had retained the settings. My tests in the sun were yesterday, and it in fact does seem to burn less power. Will post more results when I have them. Impressive so far. Now note that I put it to more abuse than many of you would. 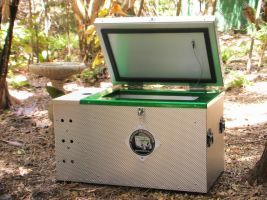 It lives out in the sun, in the back of my Silverado Dually..
Hi Bushtracker, its been a while now ,how is your new Lunar fridge /freez going,would you buy another one?. regards mike. First of all it is Bushtracker, corrected above. Secondly WELCOME TO THE FORUM, POST NUMBER ONE! 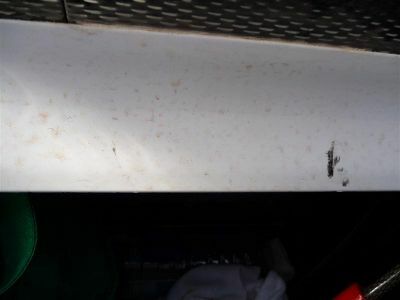 On the negative side: I have made a little drip edge over the electronics as I do not think it was really designed to be out in the rain all the time. However, so far so good. And besides, most of you would have it undercover. Pluses: It works very well. And honestly I cannot tell you why but I am convinced it burns less power than the other major option in the Trailblazer. I assume it is because the heat dissipation is done with a cooling fan on the condenser, rather than the external skin condensing like the alloy Trailblazer. From living with it, it seems to overall run on a considerably more efficient power usage, maybe by 30% or better. Possibly as high as 50%. This is worth discussion with them over how and how much..
Second plus, the stainless and finish is very nice looking, and more compact. It is not as bulky as the Trailblazer. 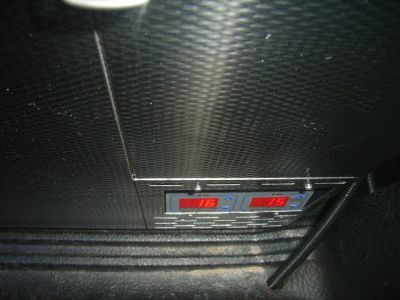 One compressor system runs both fridge and freezer. To get the same combo in the Trailblazer just did not fit, as the TB was longer. 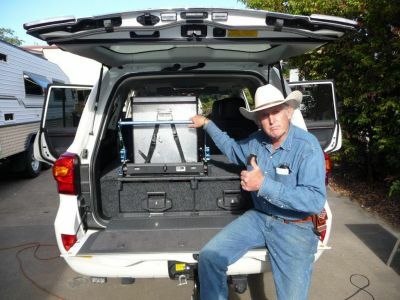 Hi Steve, Roger & Deb Clancy here, had our bushtracker delivered last week ( as we still do not have a tow vehicle, took your advice and researched the F350 super duty and have one on order, Stewart @ american perfomance looked after us well) i am now researching fitout options for 350, you imfo on the luna fridge is what i am after, ie: size, weight, cost and dealers. on another note the bushtracker is a hit with all our friends and i think you may have an order or 2 coming your way. meanwhile we are planing a trip north, will be looking for new campsite's along the way, any sugestions welcome. I love its operation, and look, and the controls, and the function, two thermostats and two compartments and compact as well. 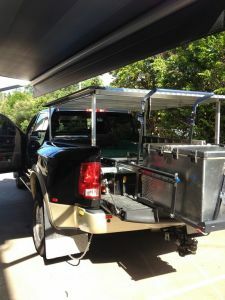 I live out of it, food at Bushtracker and transport to the horse property. 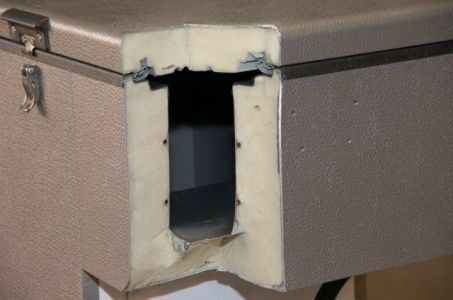 I do not think it is supposed to be outdoor in the wet enviornment like I am subjecting it to, and still it is holding up well with my modification shown in the above posts. I only have one reservation that is a P.I.T.A. 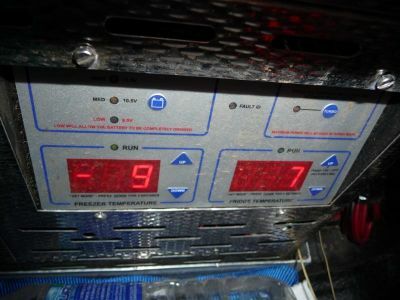 (Pain in the a$$) and that is for some reason it condensates water that pools in the bottom of both fridge and freezer. Now this is not be a problem if I use the freezer as a freezer, but I am using both as fridges and the freezer has to be set a couple of degrees lower by design. Anyway, both collect and pool water. I have put soft foam tape around the lids, and still it happens. 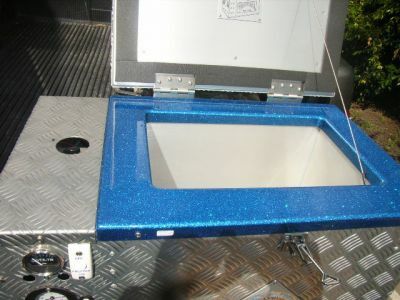 I think it is because of the polished stainless interior. Anyway, I have to mop it out now and then, pour in a little alcohol and clean out any mold or algae, anyway it is a PITA. Not too big of a drama though. Overall, I would say I still like the unit..
Time flies when you are having fun... The same fridge has lived outside in the rain for going on three years. 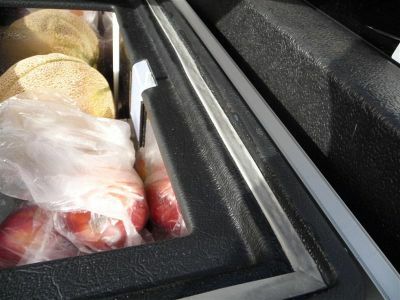 It is a lovely fridge freezer and so compact it has graduated to an indoor job in the back of my Sahara..
Well, I still think the Trailblazer is the most robust, and most insulation, and I still have a 90 litre that is going on 20 years old. The first compressor died at about 15 years... 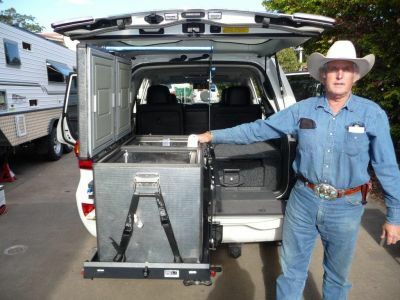 The really cute Bushtracker styled one, sold with that truck it was in.. It was cute but a bit bulky for the size.. 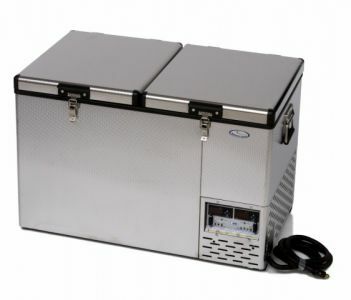 Yes, the best unit is still my stainless National Luna, with separate freezer hold and separate controls, Dan Foss, air cooled condensor... 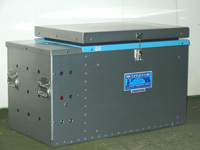 Very flash and very functional but it is also the dearest fridge freezer on Earth.. It has survived being out in the rain in two other trucks for years! And now has moved to inside of my Sahara.. I still think the top most robust first place for sure is the Trailblazer, also shown in above posts, but possibly too bulky for the back of a 200 Series for some people... If you were out in the rain on the back of a ute, Trailblazer for sure.. Here is my National Luna in the back of my 200 Series on a Platinum Drop Down Slide Out for easy access on top of a drawer system. Mind you if it fit, I am so pleased with the separate digital controls and readouts, if it fit on the floor, I would put it in the MAN that is going to the Melbourne and Perth Shows. However, since it is too big, I will be going the ARB 47 litre one. Good value.. 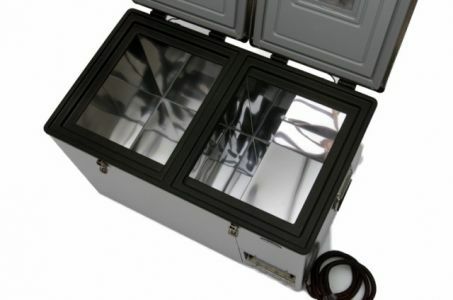 I am updating the Topic on robust fridges to reflect the best value for money we see currently: The ARB fridges..
Well, going on four years now, and what? Four vehicles of R&D.. I have to say, of all the fridges, this is the MOST expensive but I like it the best.. I mean this is the fourth? one, and in one of the vehicles it was out in the rain. 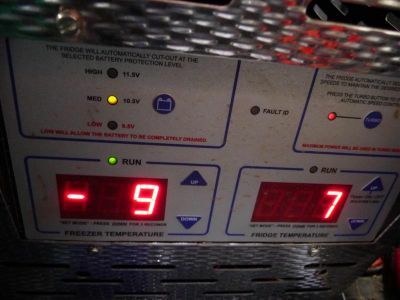 The freezer is set separately on temperature controls, and it works a treat. I have it running about 90% of the time. If I was buying a new one, this is it.. 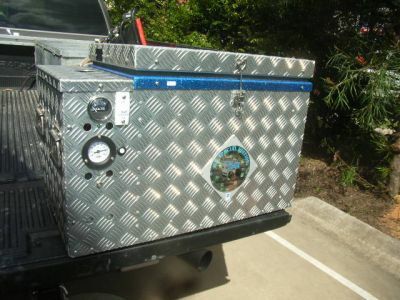 It is so efficient, I would definitely get it again, and will get a new one if this one goes bad.... More likely I will just get a new brain or compressor for this old one..
inside the actual Bushtracker, wouldn't a chest style 4wd fridge, running as a freezer and on a slide, combined with a more traditional style fridge (only) above it, be more efficient than the traditional "home-style" two door fridge freezer unit? 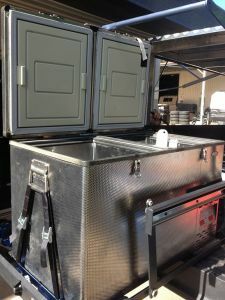 I'm thinking of this in two ways, one is that the "upside down" style of home fridge freezer is very popular, but the other is that the chest style freezer holds it's cold much better. It is costly in the use of space, and effects the layout in negative way..
Do you have a record of power consumption on freezer. My Engel averages about 2.5 amps per hour. Looking at something that will better that.